SpaMedica is the brainchild of Robert Stephen Mulholland, M.D., physician and internationally recognized Toronto cosmetic surgeon and lecturer. The name “SpaMedica” has a very special meaning. It purposely unites the service and ambiance of a traditional spa environment, with the science and efficacious outcomes of medicine. 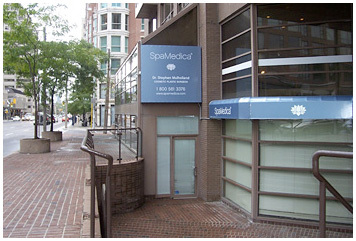 SpaMedica originates back to 1988, when a group of prominent Toronto area Dermatologists formed Laserderm, a clinic devoted to cutaneous laser skin treatments. Laserderm grew in experience and reputation, becoming by 1995, one of Canada’s premier laser skin care centers. 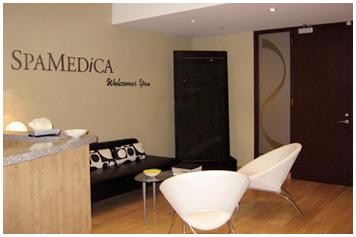 In 1996, Dr. Mulholland was appointed Director of Cosmetic Plastic Surgery and the concept of SpaMedica was born. By 1998, Dr. Mulholland, now the owner of SpaMedica, had become one of Canada’s leading cosmetic plastic surgery authorities. However, Dr. Mulholland quickly recognized that many clients do not desire cosmetic surgery or invasive procedures, yet still want to look as good as they feel and present a youthful, vital and confident appearance. Over the past several years, Dr. Mulholland has used leading industry technology to pioneer many new, non-invasive aesthetic laser and skin care therapies as he continued to build SpaMedica into Canada’s most recognized, umbrella aesthetic care centers. SpaMedica Infinite Vitality Clinics offer a full range of aesthetic services, laser skin care procedures, cosmetic dermatology, medical spa services, aesthetic nutritional services and aesthetic plastic surgery. Whether you are considering an outpatient cosmetic surgery, cosmetic dermatology, laser skin care procedure or medical spa service, one of the most important decisions you will make is the choice of a facility. We are pleased that you are considering SpaMedica Infinite Vitality Clinics. At SpaMedica, we believe you will find much more than a beautiful facility in an exceptional location. Every member of our medical, aesthetic and client support team is dedicated to helping make your experience an enjoyable and gratifying one. When you visit us, you will enter a world that is aesthetically beautiful, soothing, friendly and immaculately maintained. State-of-the-art laser equipment, nurses, aestheticians, customer service staff, procedure rooms, surgical suite, recovery and overnight rooms exceed the highest levels of certification. Our comfortable reception and laser treatment area provides a welcoming, safe and pleasant environment for all of our patients, their family and friends. At SpaMedica, we feel an important aspect of your care relates to the quality of the systems in place for insuring your safety and excellent outcome during and after your laser skin procedure, medical spa service, or cosmetic surgery procedures. COPYRIGHT © 2019 SPAMEDICA® INFINITE VITALITY CLINIC. ALL RIGHTS RESERVED.